Song written by Kate Bush as a tribute to the English composer Frederick Delius. 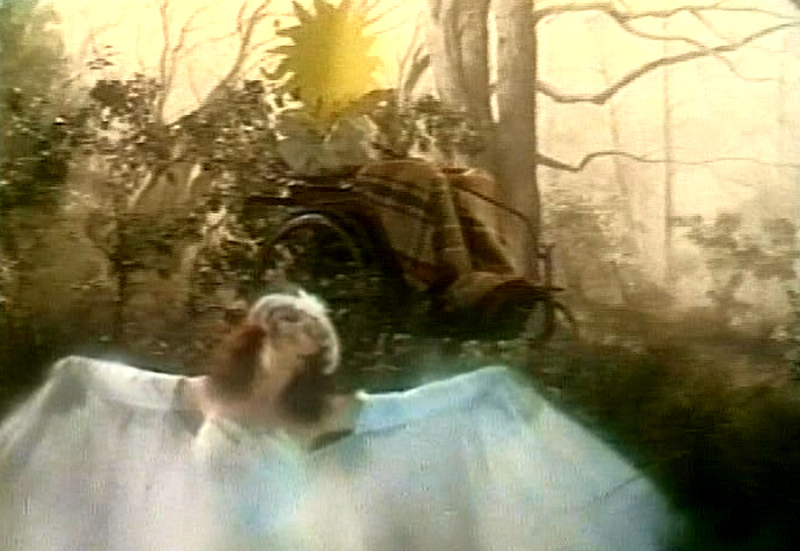 The song was inspired by Ken Russell's film Song of Summer, made for the BBC's programme Omnibus, which Kate had watched when she was ten years old. In his twenties, Delius contracted syphilis. When he became wheelchair bound as he became older, a young English admirer Eric Fenby volunteered his services as unpaid amanuensis. Between 1928 and 1933 he took down his compositions from dictation, and helping him revise earlier works.The song was released on the album Never For Ever and as the B-side of the single Army Dreamers. A music video for 'Delius' exists, which was shown on television at least twice: during a Dr. Hook television special on 7 April 1980 and during the Russell Harty Show on 25 November 1980. The setting is a quiet, lazy English riverbank filled with reeds and grass. By the bank is a wheelchair-ridden old man, his body covered by a throw-rug, his head obscured by a large yellow disk resembling a sun. This figure presents an image of Delius much like the one which was depicted in the BBC television film by Ken Russell. Gliding along on the river is a young swan-girl, represented by Kate in a gossamer white gown with wings. 'Delius (Song of Summer)' was covered by Heavy Pet and Ylangylang.